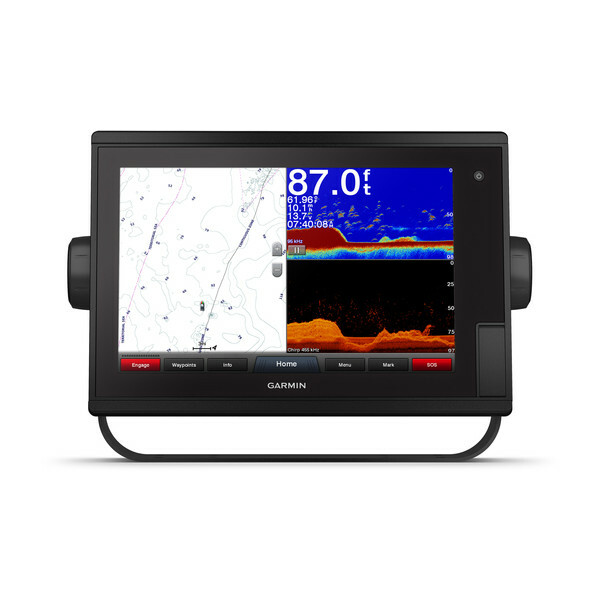 GPSMAP 1242xsv Touch is the ideal choice for the coastal fisherman who wants to step up to a big, bright 12” touchscreen combo. It includes built-in 1 kW single-channel CHIRP plus ClearVü and SideVü scanning sonars, and it’s compatible with Panoptix all-seeing sonar. Preloaded BlueChart g2 HD charts and LakeVü HD maps provide market-leading features such as Depth Range Shading and Shallow Water Shading. 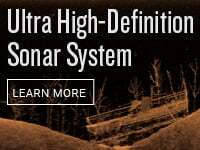 It features full networking capabilities to build your marine system with radar, autopilot, sonar modules and sensors. 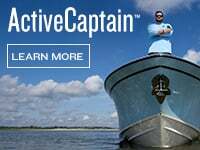 It also supports FLIR cameras, GRID™ keypad, GXM™ 53 marine weather receiver, FUSION-Link™ audio system, VIRB® camera streaming and more. Network sharing allows you to share data among all compatible units connected to the network. Plus, it has built-in Wi-Fi® to support the ActiveCaptain™ app. 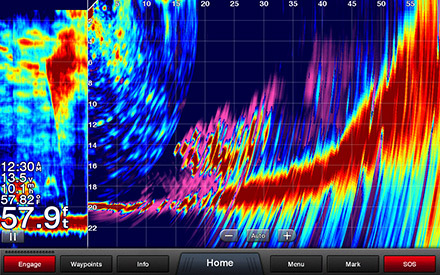 Access some amazing sonar capabilities — all you add are transducers. 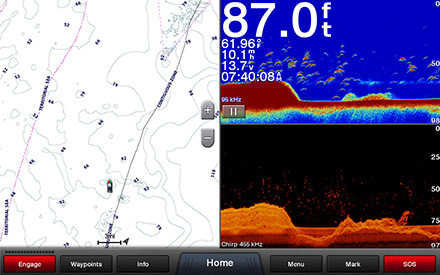 GPSMAP 1242xsv Touch comes with built-in Garmin 1 kW CHIRP sonar and CHIRP ClearVü and SideVü scanning sonars. It even supports Panoptix all-seeing sonar, premium Garmin sonar modules and a wide range of transducers (sold separately). LakeVü g3 inland maps and BlueChart® g3 coastal charts provide industry-leading coverage, clarity and detail with integrated Garmin and Navionics® data and Auto Guidance1 technology. 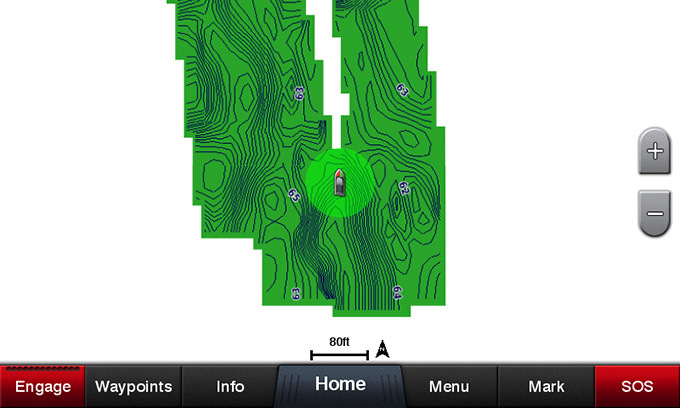 LakeVü g3 and BlueChart g3 include Auto Guidance1, which uses your desired depth and overhead clearance to calculate routes and provide a suggested path to follow. 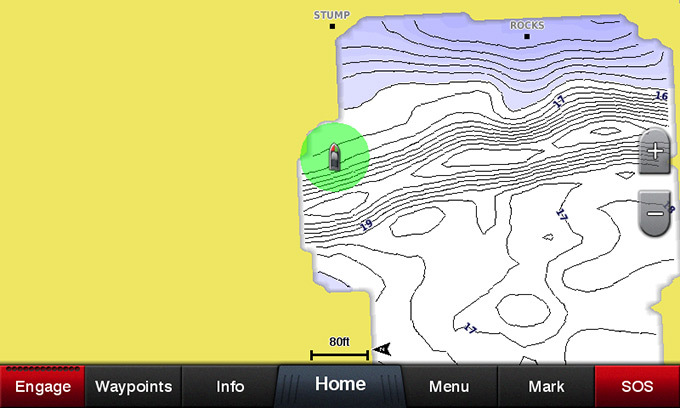 LakeVü g3 provides coverage on more than 17,000 lakes with up to 1’ contours. BlueChart g3 also includes NOAA raster cartography, available as a free downloadable feature via the ActiveCaptain® app. Additionally, they both offer easy-to-use features such as Depth Range Shading and Shallow Water Shading, which let you view your target depth to avoid running aground. 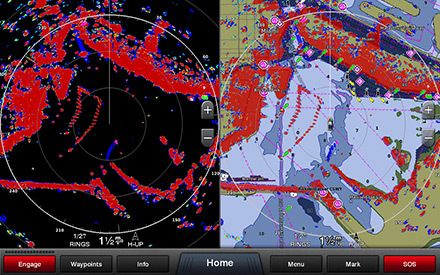 Accessory map purchases, such as LakeVü g3 Ultra or BlueChart® g3 Vision, add even more features and detail to your maps and charts. 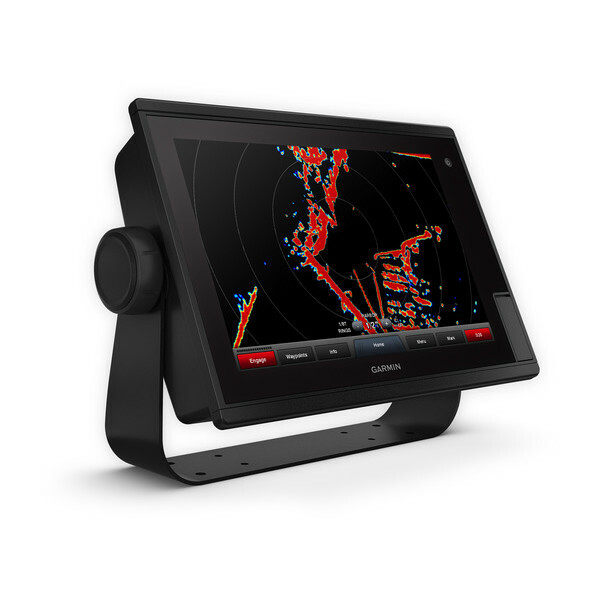 LakeVü g3 Ultra and BlueChart g3 Vision add high-resolution relief shading, which provides an easy-to-interpret, clearer view of bottom structure than contour lines alone — plus many other chart and map-enhancing features. ¹Auto Guidance is for planning purposes only and does not replace safe navigation operations. 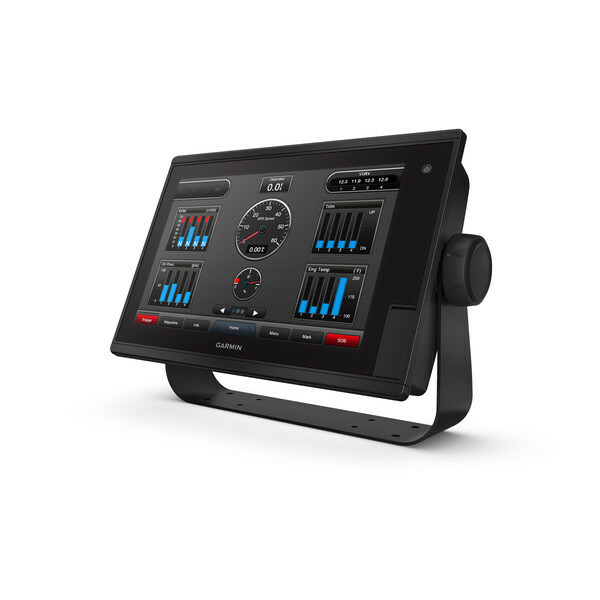 Auto Guidance is not included in preloads for ECHOMAP™ Plus series chartplotters.